Along with the London Literature Festival in July, there are two other festivals I would absolutely love to attend this September. The first is the Open Book Festival in Cape Town. 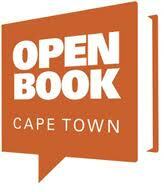 The Open Book is an annual literary festival featuring the best in international and South African writing. This is its second year running - the first was last September. Some of the authors that will be there this year include Esi Edugyan, Lola Shoneyin, Nadine Gordimer and Noo Saro-Wiwa. It's happening 20-24 September and you can find out more details here. The other is the Storymoja Hay Festival in Nairobi. The Festival, a collaboration between Kenyan publishers Storymoja and Hay Festival, celebrates stories, writing and contemporary culture. It looks like this year might include authors like Aminatta Forna and Maaza Meginste. It's happening 14-16 September and you can find out more here.